Donald Trump and the UN: does the U.S. lose initiative? What should Ukraine expect when Heather Nauert overtakes the post of the U.S. permanent representative to the United Nations? Today, on February 12, it is nearly one-and-a-half months since the seat of the U.S. permanent representative to the UN has remained vacant. Nikki Haley’s mandate ended on December 31 last year, while Heather Nauert, whom U.S. President Donald Trump chose for the seat, has not yet been officially invited to the Senate for an approval session. Confirmation hearing is looming. And while Ms. Haley’s deputy Jonathan Cohen continues to serve as the representative of the world’s most powerful democracy to the UN, it is time to analyze the U.S. strategy in the organization over the period of Donald Trump’s presidency so far and reflect on what a new representative might bring to it. Donald Trump has never concealed his views of the UN. Neither before taking the office, nor after it. He has complained multiple times over its lack of effectiveness as well as Washington paying too many contributions in comparison with other member states, especially on peacekeeping, and should be admitted that his complaints seem generally fair. Nevertheless, the criticism sometimes crossed the line. "The United Nations has such great potential but right now it is just a club for people to get together, talk and have a good time. So sad!” Mr. Trump wrote on Twitter on December 26, 2016 about the organization which completed 53 peacekeeping missions in 73 years of its existence and is currently holding 15 such operations, while also helping on a daily basis millions of people around the world to secure their basic rights to life, education, their human rights etc. The enmity is mutual. Occasionally, the room of 193 member states has not concealed its view of the current American president too. Back in September 2018, when Mr. Trump held a speech at the General Assembly, the event was eventually disrupted. "In less than two years, my administration has accomplished more than almost any administration in the history of our country,” Mr. Trump started, but his words were followed by a wave of laughter from the audience. Surprised, he had to stop and smile. "I didn’t expect that reaction but that’s okay," he said before resuming his speech. Ms. Haley took her office as the U.S. permanent representative to the U.N. right after Donald Trump got elected. She came to replace a diplomatic heavyweight, Samantha Power, who had seen one of the most difficult periods in international relations unfold right in front of her eyes. Ms. Power served in the UN since August 2013. It has been exactly when the largest geopolitical earthquake of the XXI century since the 9/11 attacks erupted: the Ukrainian Revolution of Dignity. 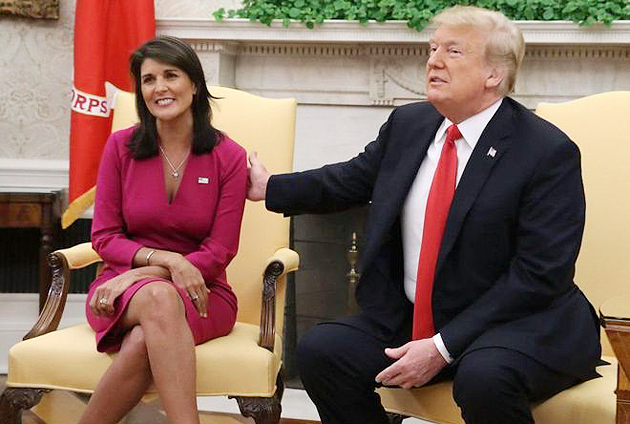 Ms. Haley had not had diplomatic experience at the moment of her appointment. However, she had already been an influential political figure, having served as the Governor of the State of South Carolina for six years. She kicked off her diplomatic career in New York with statements which can hardly be called diplomatic, generally in accordance with the new administration’s line on the UN. "We will be taking names," she said after a vote in the Security Council which condemned Mr. Trump’s decision to move the U.S. embassy in Israel from Tel-Aviv to Jerusalem. The phrase refers to American military slang. "Kicking their asses first and then taking names" is one of the ways American marines describe their uncompromising attitude towards the enemy. It means fighting comes first with no questions asked, and then captured enemies are counted. What Ms. Haley meant was that the U.S. from then on would follow the principle of "Who is not with us are against us" in its diplomatic line. 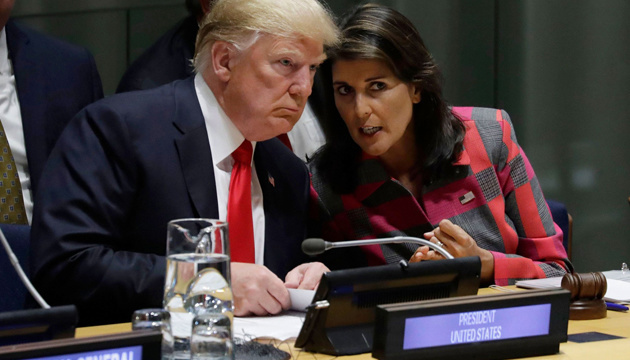 Back then, in December 2017, the U.S. imposed its veto over a UNSC decision for the first time in six years. Fourteen member states, meaning all the rest of the Security Council members, unanimously condemned the White House’s decision as one that aggravates conflict in the Middle East, not helps resolve it. To be fair, more than a year later it is obvious that the decision has not led to any significant escalation of the Arab-Israeli conflict. 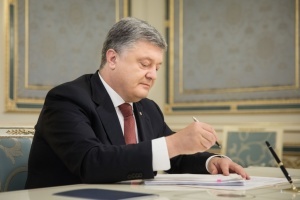 By the way, same as that decision to provide Ukraine with lethal weapons around a year ago. 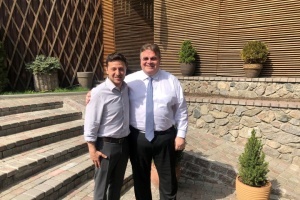 It has neither led to escalation of Russia’s aggression against Ukraine, despite numerous alarmist predictions of Kremlin-leaning and simply "useful” experts, who commented on Mr. Trump’s decision back at that time. A side-comment: no reason to trust experts who always have strong opinions on any topic and who are sometimes jokingly called "commentariat." The U.S. attention at the UN is currently focused on three main topics. In order of priority it is supporting Israel, opposing Iran and - lagging behind but still a priority - supporting Ukraine and opposing Russia. Speaking of traditional cleavages between the U.S. and the rest of the UN member states, the most outstanding one obviously stretches along the lines of the Arab-Israeli conflict. The U.S. has repeatedly criticized the UN for its "Anti-Israeli bias." Roots of this conflict date back to the 1960s, when the State of Israel began to not only passively defend, but also actively fight off its enemies, including by preemptive strikes as was the case during the six-day war. The Israeli prime minister of that time, Golda Meir, recalls in her memoirs that it was in the beginning of the 1970s that she fully felt "solitude" in the General Assembly hall for the first time. It seemed as if the whole world condemned Israel for its active military moves to protect itself. Obviously, except the then U.S. President Richard Nixon, who was "the best friend, always there to rely on," as Ms. Meir recounts. Forty years later, Israel’s situation at the UN has only changed for the worse, it seems. Palestine is currently uplifted to a "non-member observing status" in the organization. Furthermore, this year it leads the influential "Group of 77." Even more - there are discussions about Palestine submitting membership application to the UN. Although such initiative would inevitably be vetoed by the U.S. in the Security Council, there are other hypothetical ways for Palestine to enter the UN. What remains unchanged in the whole process is American support to the State of Israel. There were at least three illustrative votes on Israel at the UN during Mr. Trump’s presidency. The first one was the above-mentioned condemnation by the Security Council of the U.S. embassy move to Jerusalem. Second was the vote in June 2018 on another resolution condemning Israel, when the U.S. not only failed to block the document, but could not even secure passing amendments to it. The third, and probably the most painful loss for the U.S., was a failed vote on a resolution condemning Hamas in December 2018. American diplomats had long prepared for the vote. 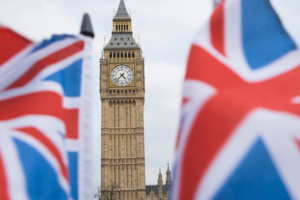 They held exhausting discussions with their European counterparts (who traditionally support Palestine, not Israel), and managed to win their support by softening the resolution’s wording. However, even watering the document down has not helped. At the end of the day, it failed to gather enough votes. 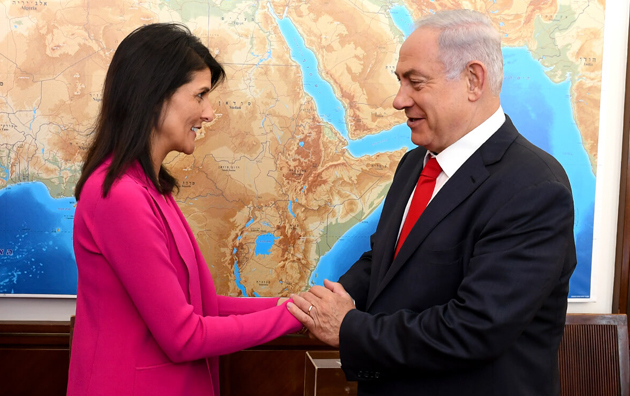 The failures of "Israeli" votes demonstrate that the tough policy of "Those who are not with us are against us," which experienced and powerful Ms. Haley started her UN term with, for now has only proved to be counterproductive in terms of achieving results. Throughout the last years, the U.S. has also withdrawn from at least two powerful UN agencies - UNESCO (October 2017) and the UN Council on Human Rights (July 2018) in protest of these their policies regarding Israel. Apart from that, the White House has also withdrawn from the Paris climate accord, the Iranian deal and a number of other international agreements. Mr. Trump’s isolationism is surely nothing new to American history. Ronald Reagan had already been withdrawing from UNESCO, for example, and periods of unilateral foreign policy are common for America throughout centuries, tracing back as far as to the Founding Fathers. What is different now though is that the void the U.S. leaves behind is swiftly filled by others. For example, China, which is already the second largest UN donor and fourth largest contributor of peacekeeping personnel. Without much fanfare, Beijing has won over the last few years some high-ranking posts in the World Bank, the Interpol, the United Nations Industrial Development Organisation (UNIDO), the International Telecommunications Union, the Civil Aviation Organization and seriously pretended to take lead at UNESCO. Russia does not have an influence of China’s scale, especially at the UN. However, it is eager to take advantage of the U.S. being tired of military conflicts in Syria and Afghanistan, where it gladly increases its influence, not shying out to use any methods to pursue its goals, as events in Aleppo show. Russia managed to stick its finger even in the U.S. - DPRK negotiations, by reportedly proposing Pyongyang to build a nuclear power plant in exchange for halting its missile programs. It is in such international turmoil ("When was it not a turmoil?" - a reader may ask) that Ms. Nauert is awaiting her appointment as the U.S. permanent representative to the United Nations. Just two years ago she was "merely" a journalist and a TV host with Mr. Trump’s favourite cable network Fox News. Since then she has impressively climbed her career ladder. 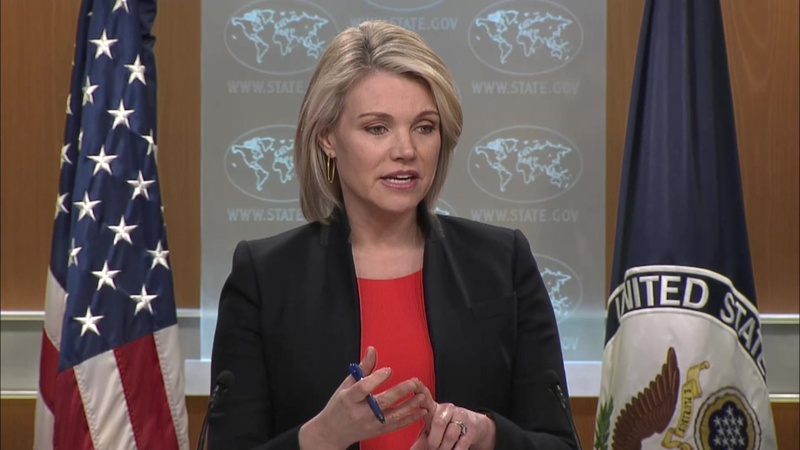 For one-and-a-half years Ms. Nauert worked as spokesperson of the U.S. Department of State and is now nominating for one of the highest posts in American diplomacy. At the same time, critics point at her lack of diplomatic experience. It is to true to say that neither Ms. Haley has ever worked as a diplomat before being appointed to the UN. However, unlike Ms. Nauert, Ms. Haley had political weight as a governor of the State of South Carolina. Ms. Nauert doesn’t have such political experience. At the same time, accusations of having no experience do not seem fully fair either. In her one-and-a-half years of service in the Department of State, Ms. Nauert has not only developed a good working relationship with Secretary of State Mike Pompeo, but also gained significant knowledge of international affairs. She has visited more than 20 countries together with Mr. Pompeo throughout this time. She has studied the situation in Myanmar by exploring facts on the ground in person. Ms. Nauert’s journalistic experience includes not only studio work but also assignments to zones of conflict as a reporter, including covering Iraq in 2003. 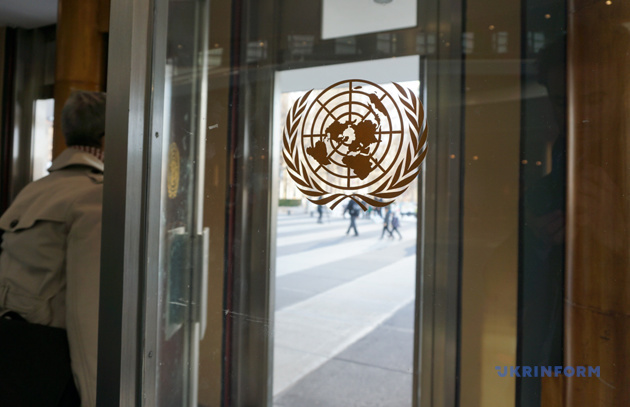 History has seen a broad scale of cases when former journalists were taking high governmental posts including the U.S. permanent representative to the United Nations office. Legendary Samantha Power, for example, had a war journalism background before launching her diplomatic career. - Are you still.. Are you still considering… - he shouted. - I’m sorry, who are… Your name is? - Ms. Nauert asked. - Alexander Pristenko, Russian TV. - Are you still considering negotiations with Russia on global security issues, nuclear arms issues? - So your question is would we cut off conversations and negotiations? - I mean, do you change something in your attitude towards this? - Oh, look, it is certainly concerning to see your government, to see your country put together that kind of video that shows the Russian government attacking the United States. That certainly is a concern of ours. And I don’t think that it is very constructive, nor is it responsible. I’ll leave it at that. - OK. OK. Enough said then. I move on. - Ms. Nauert concluded. - Sorry, what does that mean? - another American journalist stepped in. - What does what mean? - Ms. Nauert asked. - They’re not, they’re not officials of the Russian government, they’re just asking a question about Russia! - Oh, really? OK. Well, we know that RT and other Russian news, or so-called "news organisations," are funded and directed by the Russian government. - Ms. Nauert stressed each of the last words hitting the table with her finger. Discussion soon faded away. Ms. Nauert is currently actively preparing for hearings in the Senate where she is planned to get her confirmation for the post. She is doomed to hear some tough questions both from Democrats as well as some skeptical Republicans. The Department of State is now reportedly helping Ms. Nauert prepare for it by imitating such hearing with the department’s officials acting as if they were senators and asking her the most inconvenient questions. CHANGING THE ORDER OF REPS DOES NOT CHANGE THE SUM? 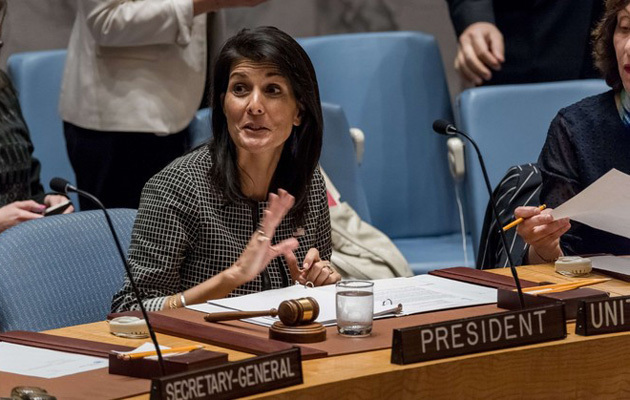 During her UN term, Nikki Haley has been an influential figure in the system of the U.S. foreign policy. She has also enjoyed direct access to President Donald Trump. She often played the role of a mediator between his uncompromised stance and the diplomatic world of the United Nations. It seems for now that Heather Nauert will not have that kind of influence. Unlike Haley, she is expected to have no cabinet seat, thus no such privileged position. As for general loss of the U.S. influence in the UN, it already has negative implications, mostly for Israel, which do not seem that unanticipated. In Ukraine’s case risks appear to be significantly lower. One can tell by looking at two successful resolutions that Ukraine managed to have passed in the General Assembly in December 2018, right at the same time when the voting room refused to condemn Hamas. 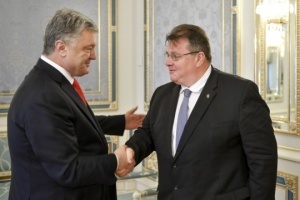 Unlike Israel, Ukraine enjoys not only American, but also European support at the United Nations. Furthermore - while Israel’s rival is the Arab world which still has significant leverage in the UN and many votes, Ukraine’s rival is Russia, which, despite being a member of the Security Council, is currently isolated and surrounded itself with a group of dictatorships and Russia’s client-states. One fact proving this state of affairs was most neutral and watered-down Russian resolution on preservation of the INF treaty failing to pass in the General Assembly in December. The lesson here is that results are not achieved in the UN simply by having a "tough" position. They are secured first of all with thorough, dedicated work that requires a lot of experience and knowledge of seemingly boring procedural nuances. Ukrainian delegation is strong at this art. Russian one, should be admitted, is too. However, the question is - will the U.S. mission to the UN under a new representative have enough capacity of a procedural, bureaucratic "talent" in addition to an outspoken political position to maintain influence in the UN? Hopefully, it will. Because giving up initiative and influence is much easier than it is later to restore them.